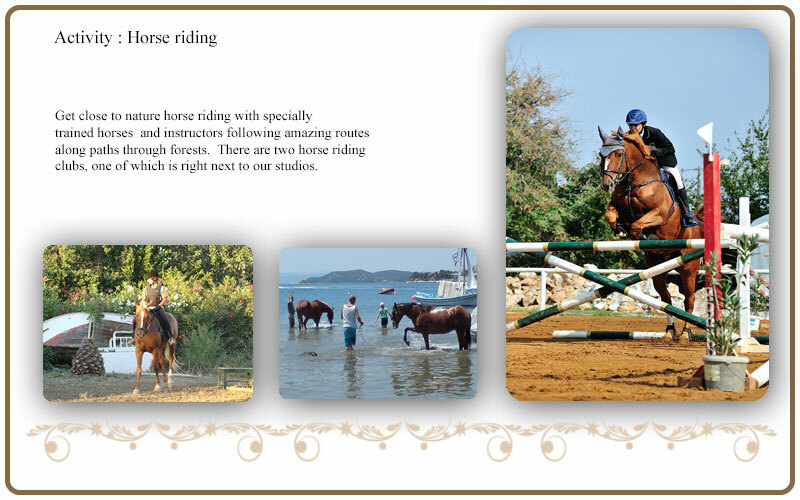 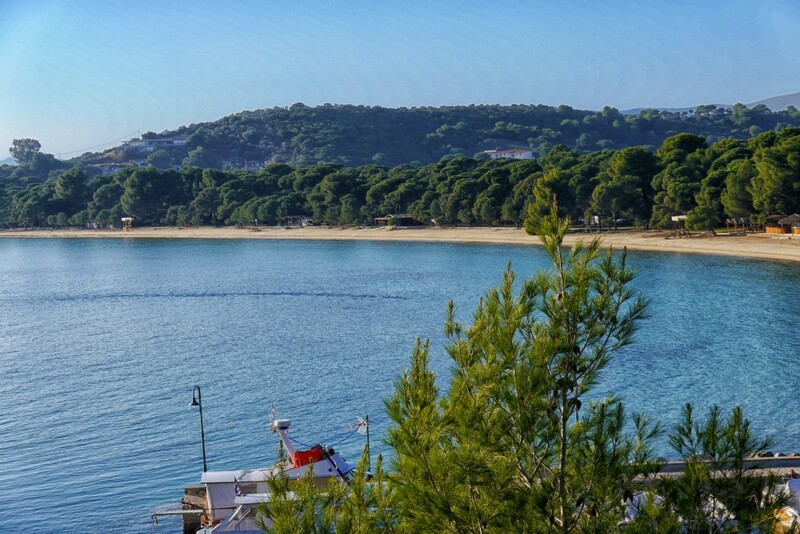 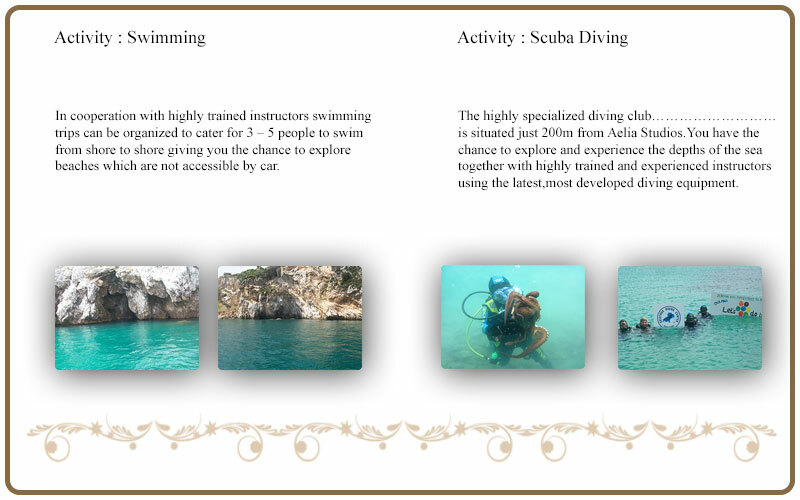 The main purpose of Aelia complex is to provide the guests with the opportunity to discover Skiathos via activities. 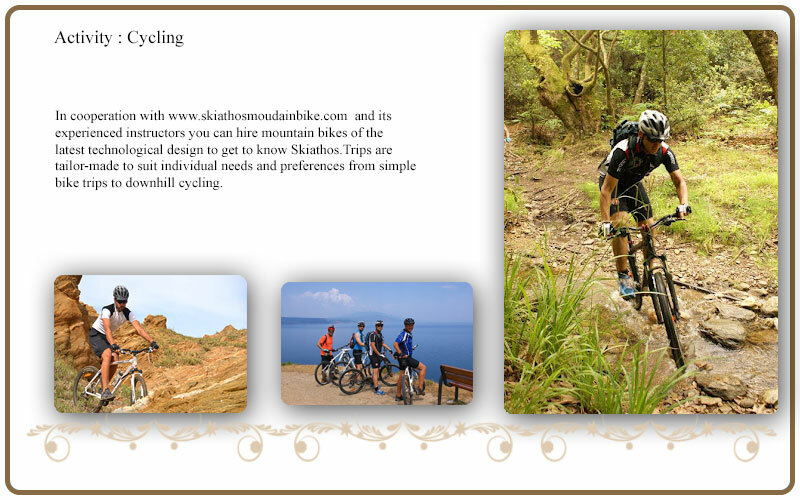 Enjoyable, mild. 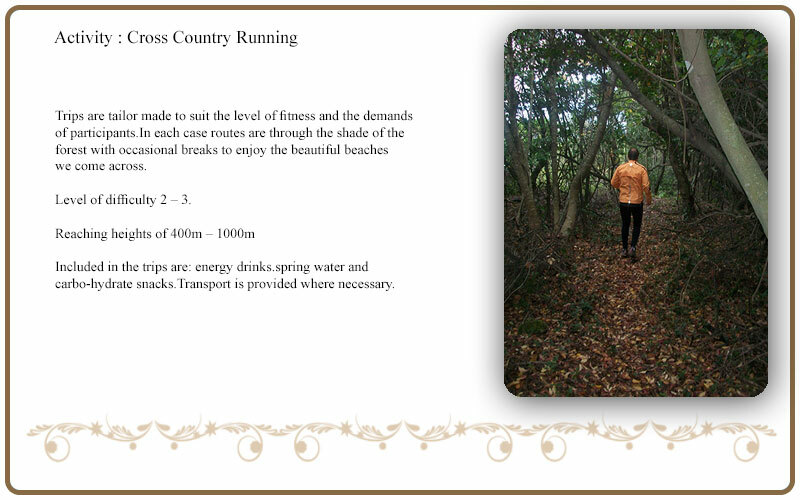 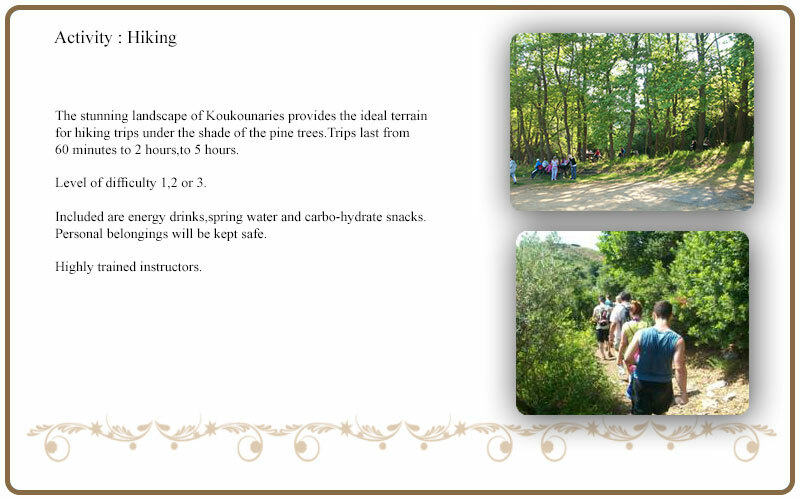 The forest of koukoynaries is the starting point for various activities which take place in natural environments, with the guidance of our experienced staff and partners. 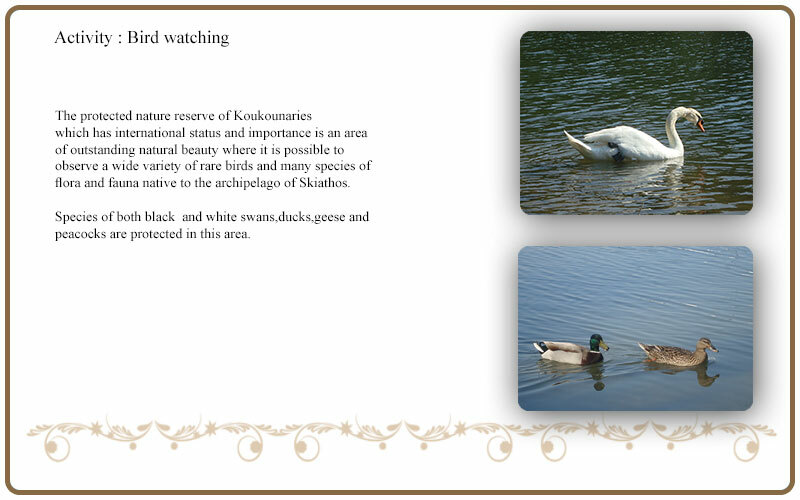 The hotel also offers sightseeing tours and guided walks.